1-Click upsell functionality is automatically integrated into your sales funnel. However, there are a few prerequisites to ensure true 1-click upsell functionality is in place. Step 1: You must be using a payment gateway that supports 1-click functionality. *Update: You can now use PayPal(Beta) to enable 1-click upsells with Paypal and PayKickstart. Step 2: Make sure you connect the appropriate Payment Gateway under Campaign settings. Step 3: Go to the specific campaign settings and ensure 1-click upsells are enabled for the campaign. Step 4: Ensure that you link your Buy Button on each sales page with the correct link found in the Funnel section. 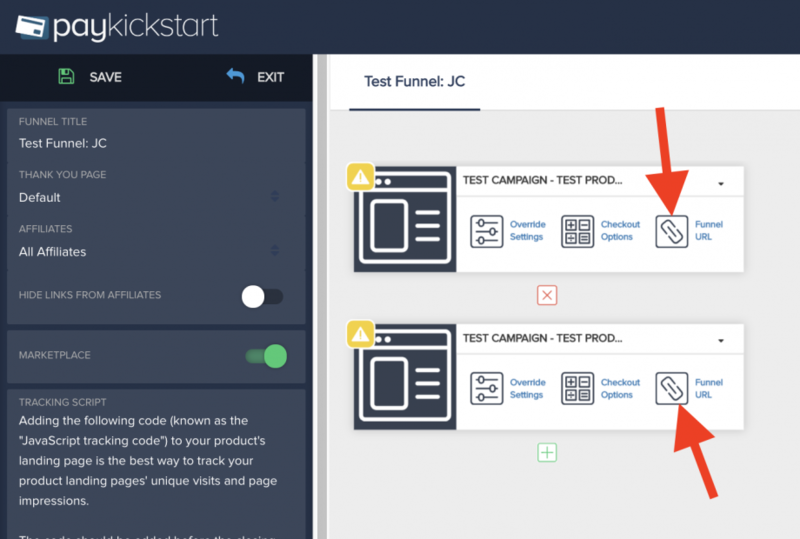 Once your customer makes the main purchase in the sales funnel, they will be able to use the 1-click feature to purchase the additional upsells in your sales funnel.